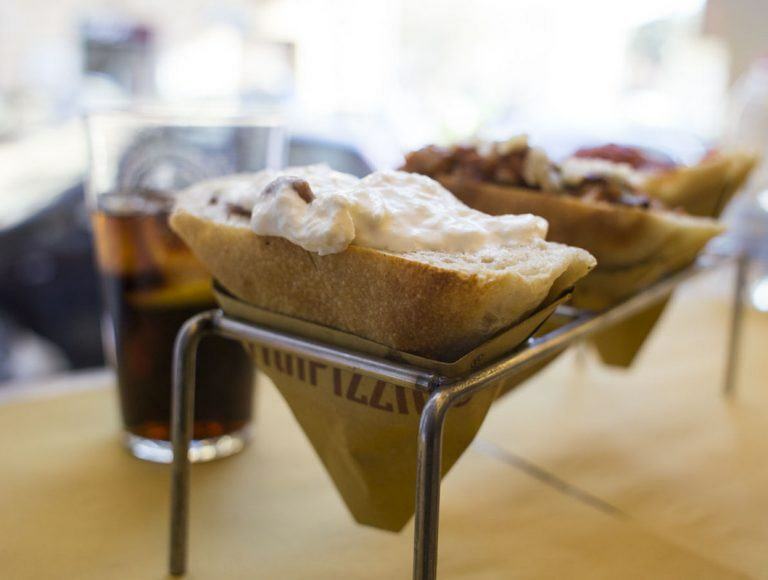 Cradle of Trapizzino, the Testaccio location offers Trapizzini, suppì and national and craft beers. There are seats available in the adjacent hall and shop, where you can buy bottles of wine, products and ingredients that are part of our history. 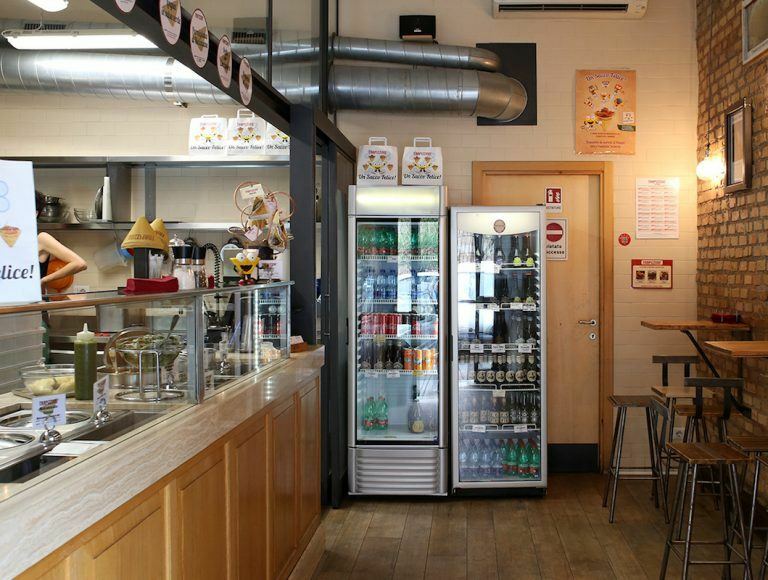 Trapizzino Ponte Milvio is located in the heart of the neighbourhood. 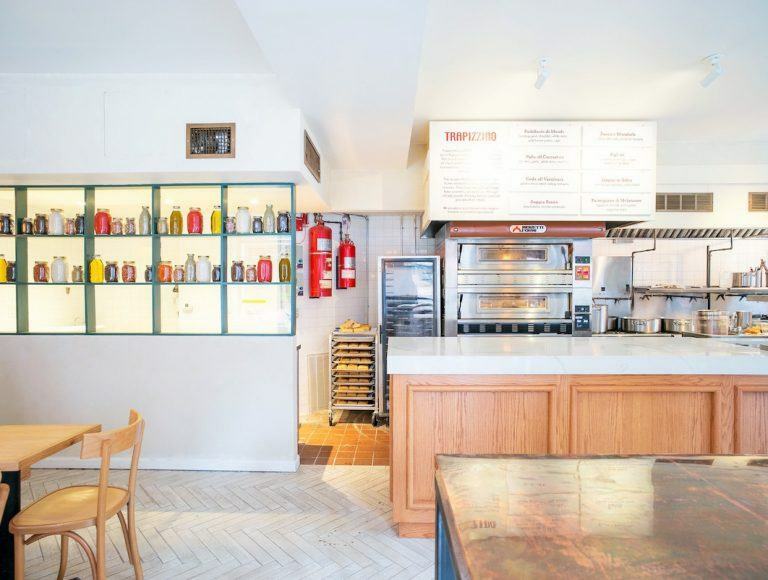 It serves Trapizzini, supplì and a selection of national and craft beers. The outdoor seating on the wide sidewalk allows you to eat seated. 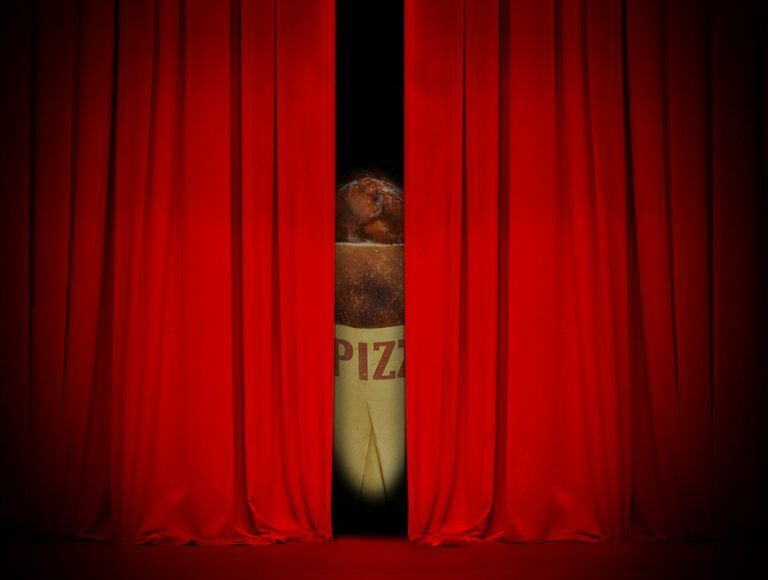 The premises are open until late at night. 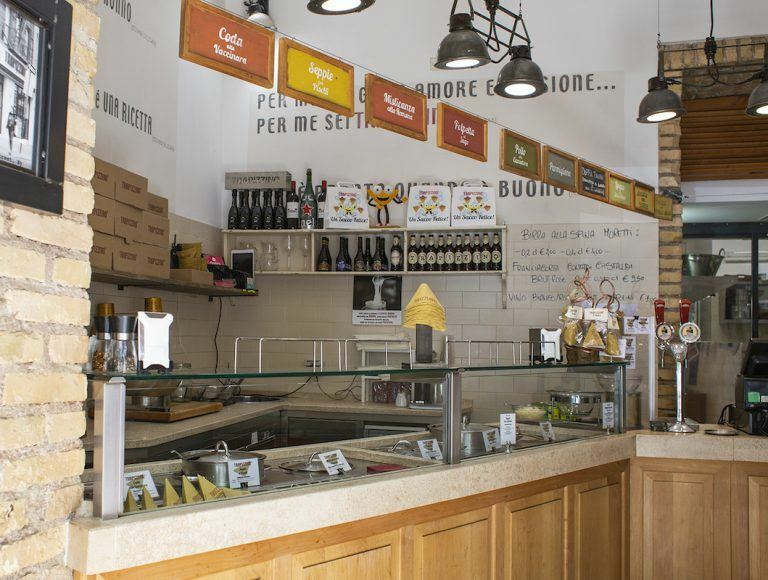 In the heart of Trastevere, piazza Trilussa: Trapizzino The Winery in Rome. The restaurant offers a wine list dedicated to Lazio’s vintners to accompany Trapizzini and Supplì sat at the counter and in the room available to our guests. 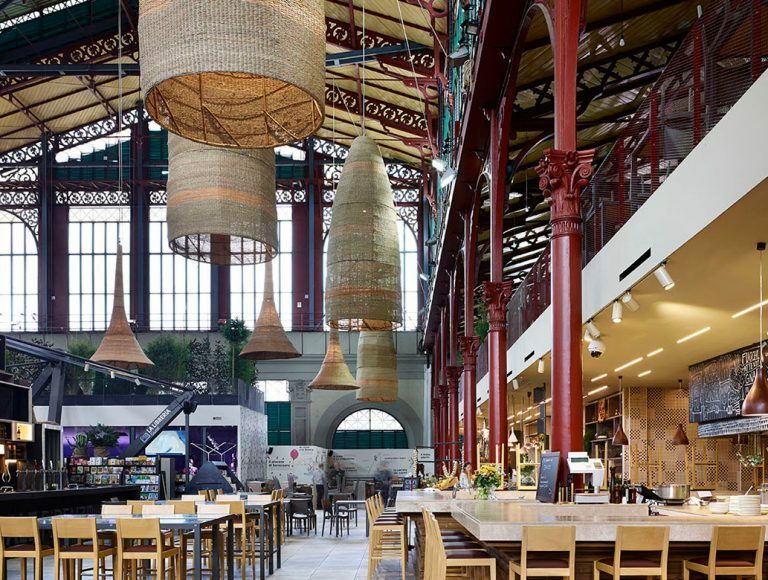 In Rome, Trapizzino has its own reserved space inside the Central Market, witihin the Termini station, housed in a beautiful, unique and evocative space, created to give back a privileged spot to the artisans of taste. 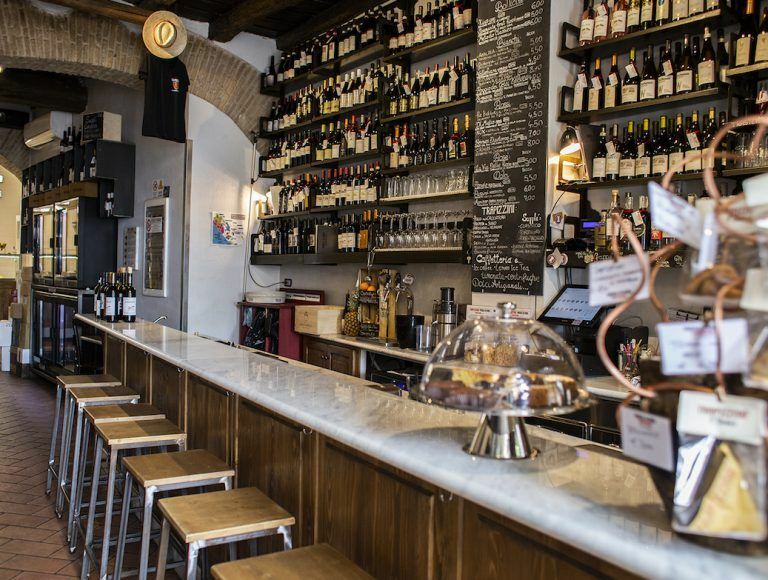 In Milan, Trapizzino is also a café and wine bar. The Trapizzini and Supplì can be accompanied by selected wines: bottles of wine makers from Lazio, alongside proposals from Lombardy, including the area of Franciacorta. 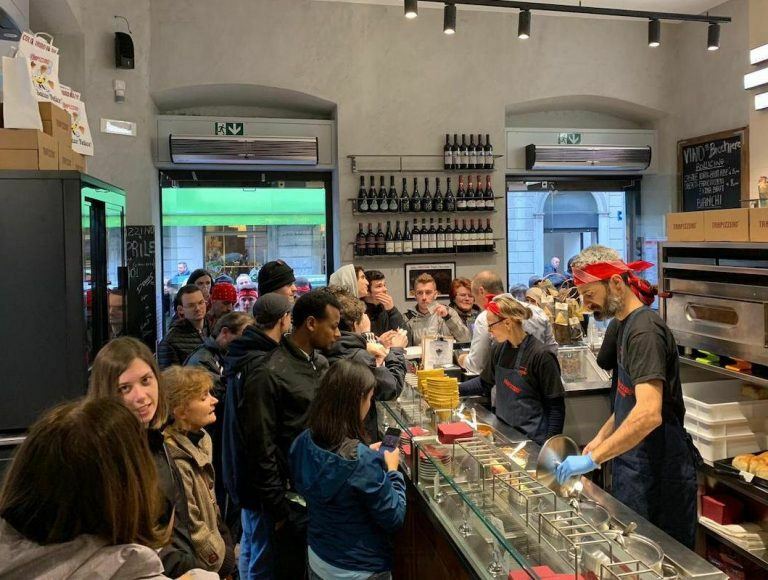 In Florence, Trapizzino has its own reserved space inside the Central Market, a short walk away from the train station, in a beautiful building of glass and cast iron. 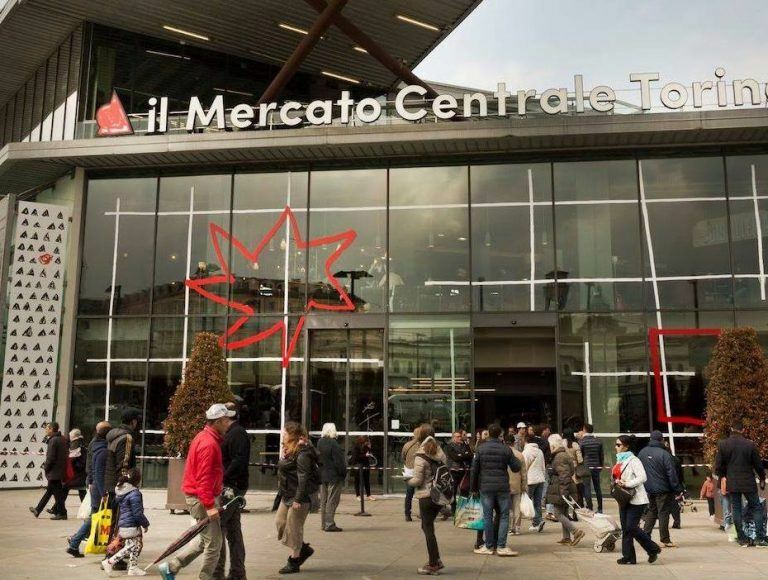 It is a suggestive place, created to offer privileged locations to the artisans of taste. 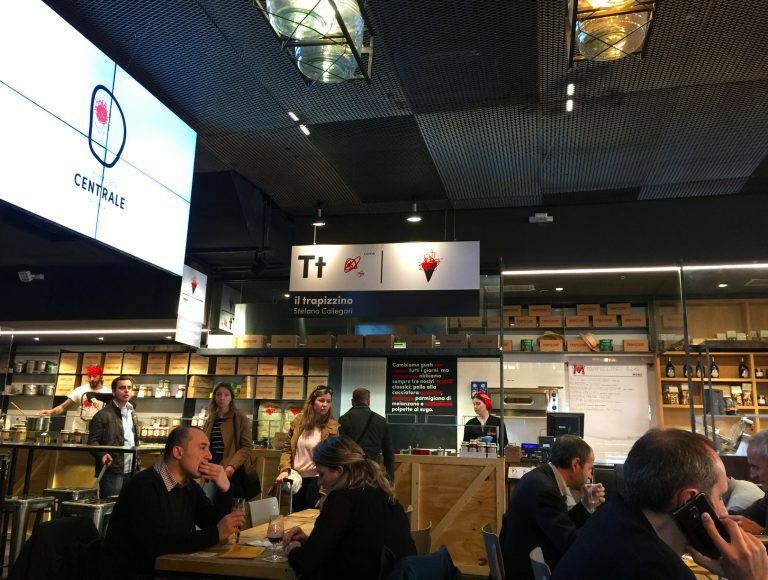 In Turin, Trapizzino has its own reserved space inside the Central Market, a place created to offer privileged locations to the artisans of taste. 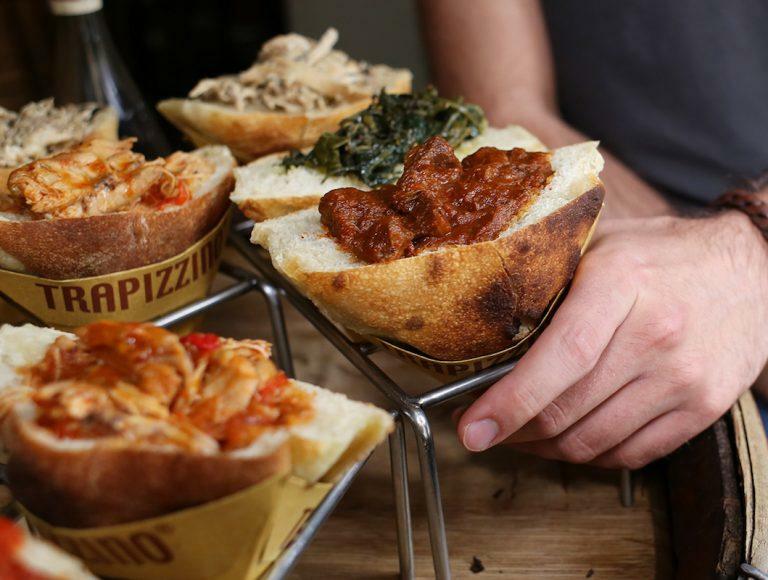 Trapizzino arrived in New York and soon became a point of reference for the Street Food scene of the Big Apple. Trapizzini and Supplì are served following the same Roman recipes. 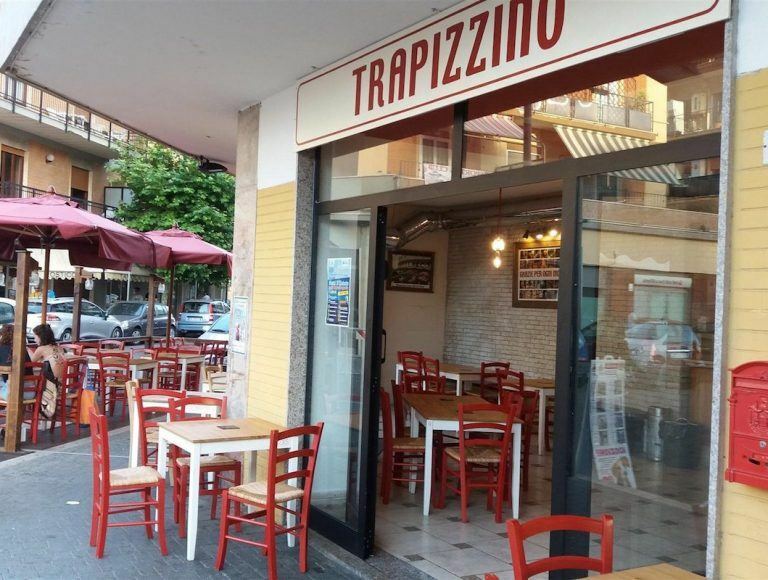 Trapizzino in Trieste, via di Cavana 10/b! 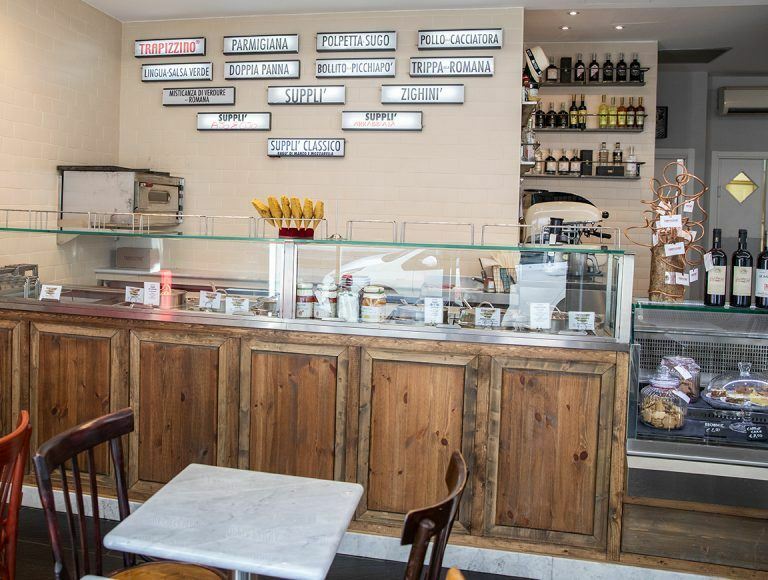 Open daily from 10am with Trapizzini, supplì, wine and craft beers. You can now find Trapizzino in Latina in the Pub area with all our proposals: Trapizzini, Supplì and a selection of national and craft beers. A spot and a staff that reflects 100% our Mood! May 2019. In the heart of Turin, overlooking piazza Carlo Emanuele II: Trapizzino and Winery. You can come and drink a coffee with a chocolate cake, even an ice cream (just cream and chocolate). And then all day long, for a glass (Lazio and Piedmontese wines and a selection of champagne), for a cocktail.